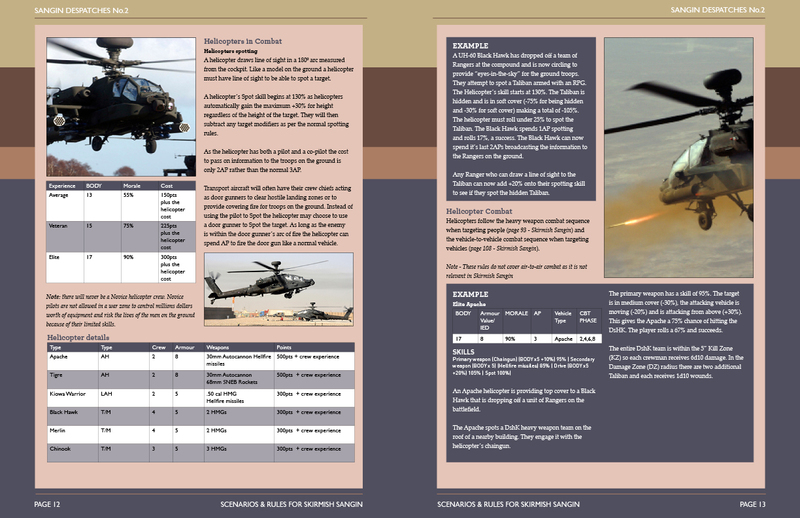 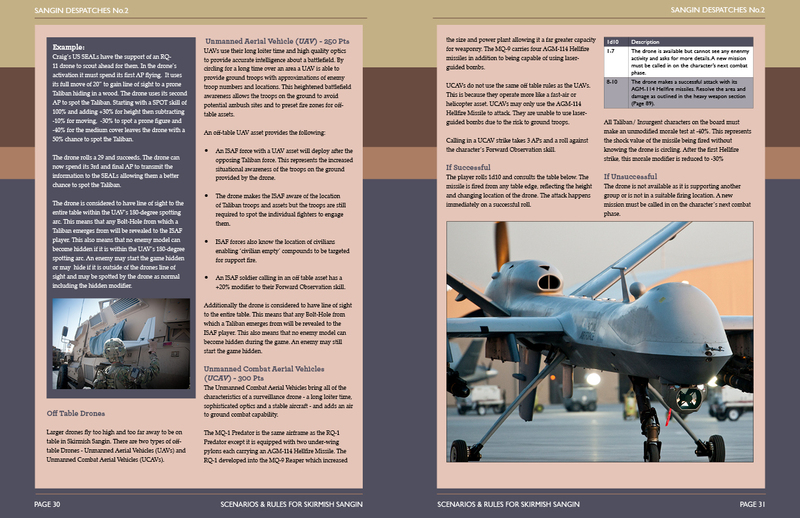 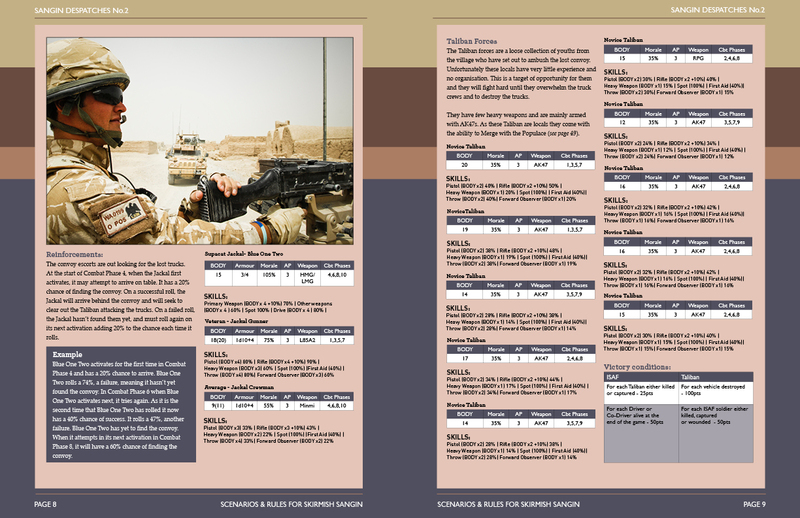 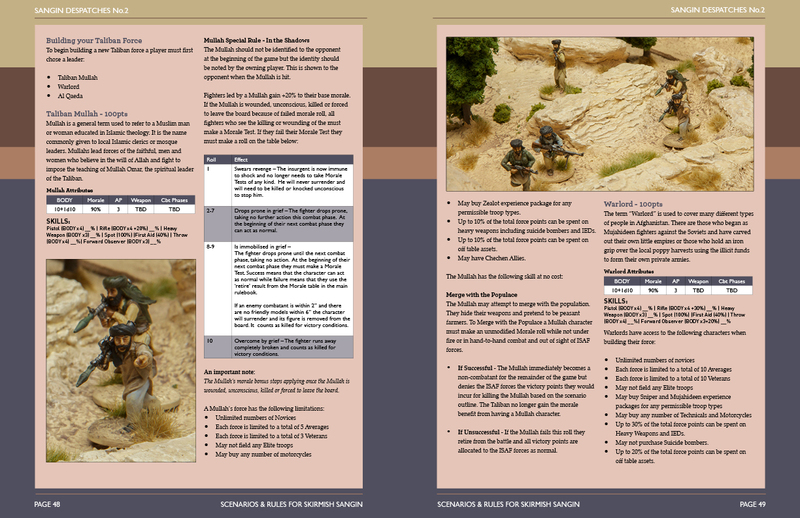 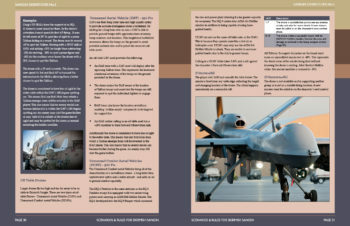 In this supplement players get six new scenarios, additional rules for JTAC’s, Helicopter, Drones and Combat Engineers. A new 16 page Taliban ORBAT that includes everything you need to know about building a Taliban Insurgent force, including Chechen allies. 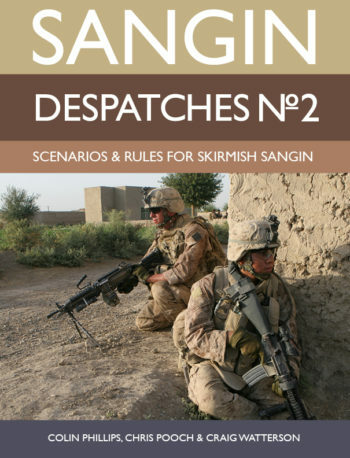 Sangin Despatches No. 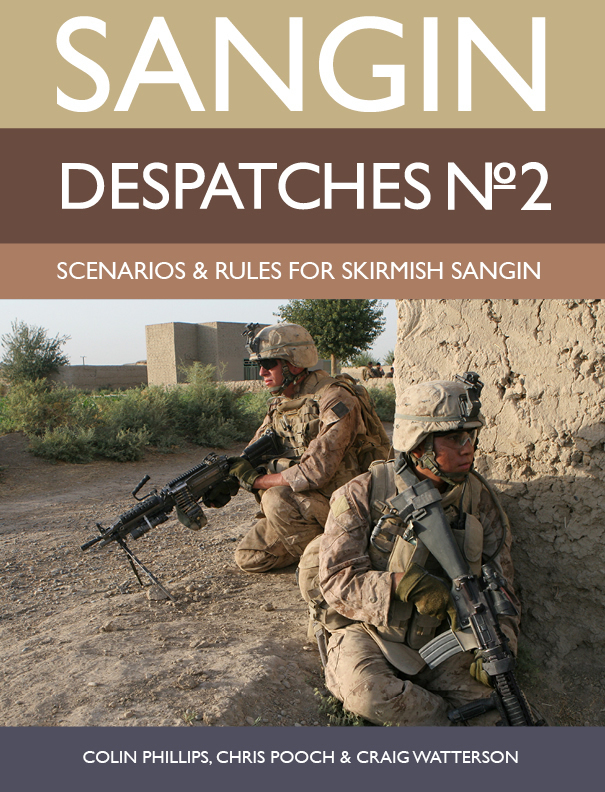 2 contains everything you need to make your next patrol into the Helmand Green Zone even more thrilling.